Tulsa Gentleman: Macro Monday - Mama Sparrow. 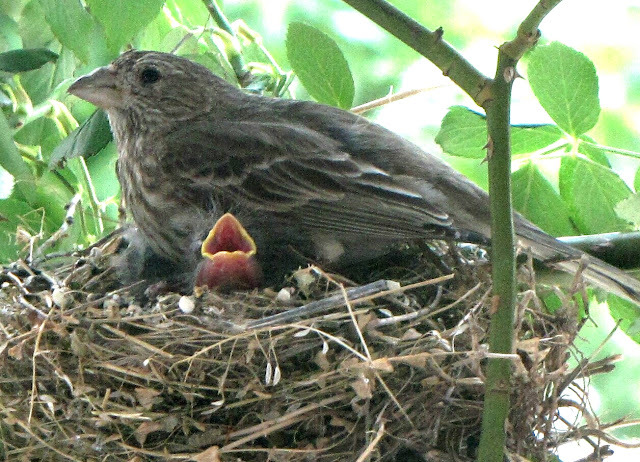 Brilliant - I'm v. impressed that Mama bird didn't fly when you approached with your camera. Great photo! It does seem awfully early for babies. Hope they make it. Great shot! Good luck little one.